Now what about those who say there’s no such thing as good fat, advising people to cut back on foods like nuts and avocados, even though they are whole plant foods? I do not believe this is supported by the balance of evidence. When, in good faith, I’ve challenged these folks to provide me with scientific studies supporting their position, they show me studies done on African green monkeys. I’m a physician, not a veterinarian! Rather than finding out what happens when you feed monkeys guacamole, I’m interested in human studies. Human studies show that eating a handful of nuts a day may cut our risk of fatal heart attack in half. Now there are human studies, like this new one, that show that even a single high-fat meal can immediately adversely affect our arteries. What exactly were they eating, though? The high-fat meal consisted of McDonald’s Sausage and Egg McMuffin—42 grams of fat. What would happen if you did the same study, and even doubled the amount of fat to 80 grams—but from olive oil or walnuts, plant sources? You don’t get the negative reaction you do from animal fat, and with walnuts, you get a beneficial effect. An immediate positive effect on our arteries, eating handfuls of walnuts. So, high-fat animal foods? Bad reaction. Higher fat olive oil? No reaction. And walnuts? Good reaction. Despite what some may have us believe, avocados and nuts are health-promoting foods, at least in human beings. In fact, the positive health effects of nuts are so powerful they are trying to add walnuts to meat. Walnut-enriched restructured meat. Essentially injecting walnut paste into steaks to improve people’s nutrition. Why not just eat the walnuts? The food industry is definitely creative! Check out this new study published in the Journal of Nutrition, “A Nutribusiness Strategy for Processing and Marketing Animal-Source Foods for Children.” The meat laboratory at Penn State University was trying to come up with a novel animal product called the “Chiparoo,” designed especially for children. It’s meant to be a cross somewhere between beef jerky and a potato chip, made out of chickens or rabbits. Here is actual footage of a guy making it. Strips of raw bunny batter to sell to kids! I couldn’t make up stuff like this! Walnut-enriched restructured meat? Jakulj F, Zernicke K, Bacon SL, van Wielingen LE, Key BL, West SG, Campbell TS. A high-fat meal increases cardiovascular reactivity to psychological stress in healthy young adults. J Nutr. 2007 Apr;137(4):935-9. Cortés B, Núñez I, Cofán M, Gilabert R, Pérez-Heras A, Casals E, Deulofeu R, Ros E. Acute effects of high-fat meals enriched with walnuts or olive oil on postprandial endothelial function. J Am Coll Cardiol. 2006 Oct 17;48(8):1666-71. Epub 2006 Sep 26. Canales A, Benedí J, Nus M, Librelotto J, Sánchez-Montero JM, Sánchez-Muniz FJ. Effect of walnut-enriched restructured meat in the antioxidant status of overweight/obese senior subjects with at least one extra CHD-risk factor. J Am Coll Nutr. 2007 Jun;26(3):225-32. Mills EW, Seetharaman K, Maretzki AN. A nutribusiness strategy for processing and marketing animal-source foods for children. J Nutr. 2007 Apr;137(4):1115-8. Images thanks to Jon Cockley via Flickr. Republishing "Extra Virgin Olive Oil"
Check out the topic pages for nuts and avocados for all of the latest videos. What struck you in particular? T. Colin Campbell, Caldwell Essylsten and the doctors of their kind appearing in Forks Over Knives claim that olive oil is not healthy. What are your thoughts on this? They are right on the money. And don’t limit it to simply Esselstyn & Campbell. McDougall, R. Vogel, L. Rudel, & myriad others agree. What about saturated fat in whole plant foods? Is that damaging endothelial cells to? I’ve heard a lot of wishy washy info about olive oil too. It’s good for you…it’s bad for you, back and forth. I still choose it over all other oils but would love to learn more. How much is too much of this oil? Is there anything to be concerned about in using it? I can’t believe the bunny batter idea. That is horrifying! The idea is to eat whole foods plant based and oil does not fit this criteria. Oil apparently damages your epithelial cell wall in your veins which keeps things running smooth and allows your blood vessels to expand and contract properly. T. Colin Campbell explains this on his lecture on “how to be heart attack proof”. Please see Caldwell Esselstyn’s “How to make yourself heart attack proof”. I’ve read Dr. Campbell’s material and Esselstyn’s material. They generalize studies on a few oils to all oils. Aside from those who tout the benefits as “an expert” who has studied what everyone has written, there are many people who make comments on all of the videos and articles about coconut oil how they had their HDL and LDL tested after starting on coconut oil and they improved dramatically. Personally, my doctor said I have better cholesterol levels than a 25 year old and I am almost 60, but I am also a raw vegan so that doesn’t prove the coconut oil I take helps. If you (or anyone else reading this) can show me a study where they did the same tests as on animal fats etc. on cold pressed virgin coconut oil and demonstrated that it actually damaged the epithelial cells rather than just extrapolating from tests on other oils, I would greatly appreciate it. Please believe me, I am not saying this to challenge anyone’s statements, I just am not sure such generalizations are always valid and I would like to see a study or experiment validating their assumptions. Thanks in advance! If one is going to eat oil to some degree, what are the best and worst oils to eat? This video seems to indicate that olive oil is not harmful, but is it helpful? If not, where did that widespread idea come from? How about other oils? Please advise. Excellent Questions yurple and maybush1! Olive oil can be considered the healthiest of the oils, but it is not health promoting. The idea came from studying the Mediterranean diet. But not just any Mediterranean diet, specifically in the island of Croatia. They ate a primarily plant based diet with some meats and used olive oil in their foods. They were much healthier than Americans at the time and people were wandering why this was so. To mimic them, people began to use olive oil (the whole “plant” idea didn’t transfer over I guess). This was done in the earlier years of the 1900’s. Now, Croatia is much more Americanized and they are getting just as sick as the average American. Correction: The island of “CRETE”. Croatia is not an Island. Actually, in most of Vogel & Rudel’s studies, canola oil is found to have slightly fewer deleterious effects than olive oil (which does result in endothelial cell inflammation and reduced brachial flow). But before anyone run for canola oil, while polyunsaturated fats may have fewer adverse effects at low concentrations than either mono or unsaturated fat, at higher concentrations they seem to be just as bad as the others. And while one can debate how much endothelial cell inflammation results, none of the studies show any fat to avoid causing inflammation in situations where inflammation was not present, or to reduce existing endothelial cell inflammation. Thus while the total synergetic effects of the total contents of nuts such as walnuts may have a net positive effect on health, there still seems no solid evidence to suggest that more than a target of about 10% of fat from whole plant sources is beneficial. Interesting reference on the Mediterranean Diet, though you have me stumped on ” the island of Croatia” – I think you mean Crete. I live just down the Med in Cyprus. I suspect many of the problems are due to the commercialization of Food Processing – where age old production methods take too long to be viable in our consumerist society, hence much of the nutritional value is lost during the processing stage. Please advise about consuming oil, in general. If one is going to consume any, which are the best? Worst? I see this video says olive oil isn’t harmful, but is it helpful? If not, where did that widespread idea arise? How about other oils? Safflower? Sunflower? Canola (also touted as good)? Corn? Soy? What about if organic? Please advise and thanks. Good questions Yurple. I would like to know more as well. Thanks. Hi Toxins, but Dr. Greger mentions in this video, as Yurple observed, that eating high fat plant-based oils “such as olive oil” is not harmful on the epithelial lining and that high fat nuts, such as walnuts, are actually beneficial for them. So, Dr. Greger says that there is NO harm in consuming olive oil, while Dr. Campbell says that it damages the epithelial lining of arteries (based on animal studies?). So, again which is correct…for *humans*? Hi Toxins and thanks for the reply! The BART test seems like a promising test to perform, although the oil tests seem to be short snapshots in time (that shows BART tests soon after consumption of olive oil-enriched foods). So, I’m not sure how accurate a BART test is in forecasting the deleterious effects of olive oil on the arteries over a long time. Glad you enjoyed it! I actually stumbled upon this 4 minute video of Dr. Caldwell Essylsten detailing on olive oil if your interested! Is there any opinion//science on Avocado oil (like for salad dressing? Is it a processed fat junk food to be avoided as well? Vallis, remember that oil is purely fat without nutrients. If we had Kale oil, its the fat from the kale without any nutrients. I believe it qualifies as junk food since it is empty calories. No, per Vogel’s brachial flow tourniquet tests, Rudel’s extensive long term studies, nor Esselstyn’s clinical studies, etc., does ANY oil avoid the problems. ALL oils are processed foods! 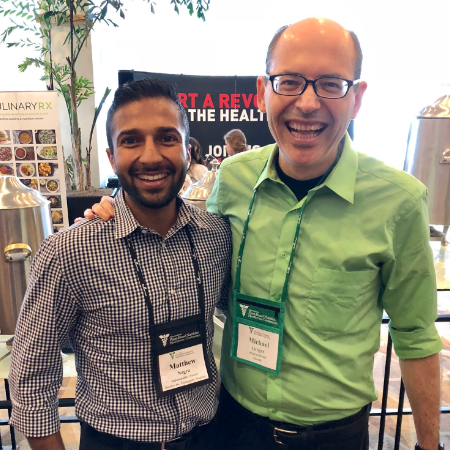 I think the more important message Dr.Greger is trying to point out is how nuts and avocados are NOT detrimental to our health and many of the extreme fat-phobic vegan health gurus like Jeff Novick may actually have it wrong telling people not to eat nuts or avocados. Sorry, but this is NOT supported by evidence! 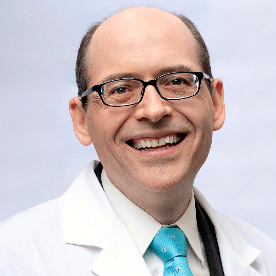 Vogel conclusively shows that ALL of the fats (& oils) result in reduced blood flow via the brachial flow tourniquet tests, and Dr. Greger goes on to dispel the nonsense that Persin containing DNA damaging (to use an understatement) avocados are good for you in “Are avocados Bad for you”, nor do the Myriad studies on the effects of fats on causation of endothelial cell inflammation indicate that ANY percentage of fats from WHOLE plant foods above ~10% are healthy. So, when does someone ask if the amazing magical coconut oil is exempt as well? Wow Chris, you should watch Jeff Novick’s DVD on nuts or listen to his actual lectures. I saw him at the McDougall program & bought his DVD. He actually recommend 1-2 servings a day of nuts/seeds/avocados and depending on the person, up to 4 oz/ day. I would not call that, fat-phobic. I’ve just read McDougall’s book “The starch solution”, where he recommends to avoid completely all kinds of oils, including olive oil. According to this video olive oil would have no positive or negative effects in your health. So, what is the conclusion in this point, given that olive oil is a great flavor in my meals, I would like to know if I sould give up the consumption of this food. It seems to be stirring up some controversy. The postprandial effect of components of the Mediterranean diet on endothelial function, R. Vogel MD, et al. “Conclusions: In terms of their effects on postprandial endothelial function, the beneficial components of the Mediterranean & Lyon Diet Heart Study diets appear to be the antioxidant-rich foods—vegetables, fruits, & their derivatives such as vinegar, & omega-3-rich fish & canola oils—NOT olive oil. Canola oil may share some of the unique vasoprotective properties of other omega-3-rich oils, such as fish oil. Thus, the oil is not providing any protective benefit, rather it is the effect of the whole anti-oxidant rich plant foods that are doing the heavy lifting. Just think how much more effective they might be if some of the damaging refined fat sources are removed? So here high fat Persin containing avocados are healthy? How to best fry an onion? barbarabrussels: Must the onion be “fried”? I chop up my onions and then microwave them for about 3-4 minutes. No oil or anything needs to be added. The onions come out translucent and sweet – just as if they had been sauteed. But missing the oily mouth feel of course. It not only works great in terms of results, but it is much easier/less hassle. delana: Sorry it took me so long to reply. I just watched one of your videos about avocado damaging dna and here you say avocado is good so now I am confused. what video was this?! Are you sure he wasn’t talking about the extracted oil? Is there any scientific research to show that oil pulling is legit? I recently stumbled across some facebook links showcasing all the amazing health benefits. In case you haven’t heard about it, oil pulling refers to putting a tablespoon of oil, any kind but preferably coconut, into your mouth & swishing it around for 20 minutes. Then you spit it out & brush your teeth. All I can imagine is that coating your mouth with lard & then brushing it away offers textile contrast, tricking your brain into thinking your mouth is cleaner. If there are any studies showing that oil pulling really does increase oral health, I would love to know. I’m really interested to know this too; I have tried it and it did feel nice. Coconut oil also did genuinely alleviate a severe tooth ache caused by an infection I had, but Garlic was sometimes equally effective (Though slower acting and less pleasant?) I still think there may be some useful functions for coconut oil in moderation, but I think cooking every meal in it is probably a very bad idea. I tried it and had the experience of chunks of plaque breaking of my teeth ( I tend to get a build up behind lower front teeth in the weird groove I have on one of them)… I googled it and others had experienced the same thing- so I think it definitely needs more research to establish how repeatable that experience is. In the mean time its unlikely to hurt (as you spit it out anyway) and are supposed to brush after doing it. We know that olive oil triggers desaturase, which converts palmitic acid — a bad saturated fatty acid that the WHO places in the same category of carvdiovascular disease risk as transfats — it converts it into palmitoleic acid, a very beneficial monunsaturated fat. Olive oil is what makes the mediterranean diet work! Palmitoleic acid is like olive oil on steroids! Thank you for this info!! I was just asking about why studies show the extra virgin olive oil rich Mediterranean diet is so beneficial to heart health! Is there any science suggesting we can eat an excess of good fats, or are good fats similar to vegetables, in that, it seems, we can shamelessly indulge to our heart’s content? In other words, is there a possible risk to having 150 or 200 grams a day of nuts, olive and canola, and avocado? Olive oil neutral? Whatta relief! I can’t see life without it. Its the only fat I buy. So, I’ll continue to have my salads & veggies, with a little EVOO, lemon juice or vinegar, and some chopped walnuts. I have a slight beef with what Dr Essylsten states during his presentations, while I have high respect for the man, I recently saw him totally nullify any potential good in green smoothies that may contain some fruit. While I understand the pulverizing of food makes it easier to digest which can trigger insulin spikes. While this is true to a certain degree, how many parents out there are pissed off by those types of comments that effects what they are trying to do for their kids? First of all, kids tend to exercise more and they can burn off the sugar. Personally, I use so many high fiber foods in my kids smoothies, I’d be surprised that this is damaging to any degree. No Oil! No Oil! How many times do you hear this, that is crap, even Dr Greger recognizes that nuts are a healthy food for us. If he is addressing only heart attack patients, then he needs to say that, he also flip flops on this topic, I have also heard him state that Chia seeds or Flax seeds are OK on your morning oatmeal. Which is it? They have oil, Dr Furhman even states that blueberries help stave off sugar spikes. He needs to relax and encourage people that are trying to do the right thing by their kids and quit being such a naysayer to everything he may not see as helpful. vegan2u: You wrote, “No Oil! How many times do you hear this, … even Dr Greger recognizes that nuts are a healthy food for us.” I have read Dr. Esselstyn’s work and also listened to several of this talks. It has always been clear to me that, “NO OIL!” means no processed/extracted oil. He means, no peanut oil. He’s not talking about the peanuts. He means no corn oil. He’s not talking about the corn, etc. And if you watch enough videos on NutritionFacts, you will see that Dr. Greger agrees that extracted oils are unhealthy for everyone. is olive oil okay to use to start a vegan diet lifestyle ? pierre Gelin: Olive oil is certainly vegan. It’s just not super healthy. You can think of any oil (olive, canola, etc) as being the sugar of the fat world. Sugar is a simple carbohydrate devoid of any other nutrients – an empty calorie. Oils are a pure fat – pretty much devoid of any other nutrient. Ie, both are empty calories. When it comes to oil, you might even see it as worse than sugar because oil is so much more calorie dense. But let’s put this into perspective. First, I still eat sugar. I just don’t kid myself that it is healthy. I’ll have something with sugar in it when I’m eating dessert say. Just because oil is not so healthy doesn’t mean that you can’t ever have it. It’s just best not to kid yourself that it is all that healthy. i thought oil was nexcessary for absorbtion of antioxidants such as carotene,lycopene and lutein.They are better absorbed in the gut when fat is included in the meal.For example the nutritional benefit of tomato is increased when eaten with some form of fat such as cooked in olive oil. Is avicado oil a better choice.So if i give up olive oil how do i still gain the full benfits of eating carrots and tomatos and other carotenoid veggies if i dont cook them using oil. james: Some experts question the need to add fat to get all the nutrients you need. But if you decide that adding a high fatty food to your veggies is something you want to do, how about using a healthy whole food like adding a few nuts, seeds or avocado? You can even make some delicious, creamy sauces with a base or at least partly made out of nuts. james: I’m not an expert, but I expect that some ground flaxseed would work perfectly well. I doubt you would even need a whole tablespoon for the purpose in question (because I think I’ve read that a half a walnut would work…), but I don’t know for sure. Dr. Greger recommends 1 tablespoon ground flaxseed a day for other reasons. My thought is you might as well “hit two birds with one stone”. Good idea! I’d really like to hear from Dr. Gregor’s team. Have processed oils been foisted on us through the use of bad science (or at lease selective comparative analysis), and is olive oil corrupted with mob money making it, in many cases not olive oil at all, and certainly no virgin? Can you help me sort this out, please. What about the impact of olive oil on testosterone? It has been claimed that olive oil can increase testosterone substantially. If true then good news for gym goers! You’re correct in stating that there are studies showing you can raise testosterone with olive oil… but these are done on rats. There are many cases in which animal studies do not represent what occurs in humans, so should always be taken with a grain of salt. However, there is one study I was able to find on humans (linked below), which found an increase in testosterone by using extra virgin olive oil after a 2 week “stabilization” using butter. There are 2 major problems with the study design, however. First, they had no control group; and second, the butter consumption could very well have caused a decrease in testosterone, which ultimately came back up after stopping consumption (this could’ve been confirmed with the use of a control group). We may very well find out that olive oil can boost testosterone in humans some time in the future, but based on the currently available evidence (or lack of evidence), those conclusions cannot be reached and we must consider the negative effects of olive oil that are discussed in this video. This is why the Nutritionfacts.org team continues to recommend avoiding oil in the diet. There is also a lot of news that taking 9 tablespoons a week of extra virgin olive oil is at least as effective or more effective than viagra for erectile dysfunction. This surely must be due to the testosterone raising thing? I accept not all oils are good. Coconut oil also had similar effect on testosterone. I only take extra virgin, cold pressed,unfiltered olive oil. Surely the Mediterranean people can’t be wrong as they are some of the healthiest and longest living after all?